We are excited to announce that today we filed a petition with the National Labor Relations Board seeking certification of CPW-UAW as our union! Please join us for a town hall to discuss next steps. Come learn more about next steps, ask questions about the process and talk with other postdocs helping to build the union. Please RSVP here so we can know how many people to expect. 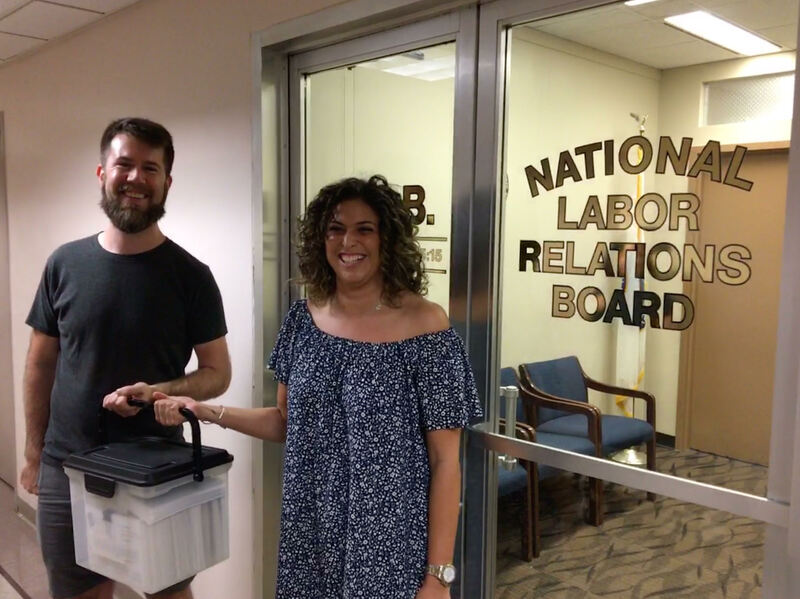 As a majority of postdoctoral researchers have signed up for CPW-UAW, this is an important next step in the establishment of our union. We hope the university will refrain from any efforts to delay the process so that we can move efficiently to an election where we can exercise our democratic choice on whether to engage in collective bargaining to help make the university stronger. In order to help us prepare for negotiating a strong contract with the Columbia administration, please join hundreds of other postdoctoral researchers and take a minute to fill out the postdoc union bargaining survey. In moving ahead, we join a growing national movement of academic workers who have come together to form unions as part of the UAW. Postdocs at the University of Washington and the University of Connecticut have both chosen overwhelmingly to unionize in recent months and are now entering negotiations with their universities. CPW-UAW will be the first postdoc union at a private university and we are excited to join the tens of thousands of postdocs, graduate employees and adjunct faculty unionized with the UAW at over 60+ campuses across the nation.